Mazda will only build 750 of these MX-5 Special Editions, essentially loaded models with some special paint colors. Outside of an auto show, this may be about as close as you can get to the $30,000 version of l'il Smiley. 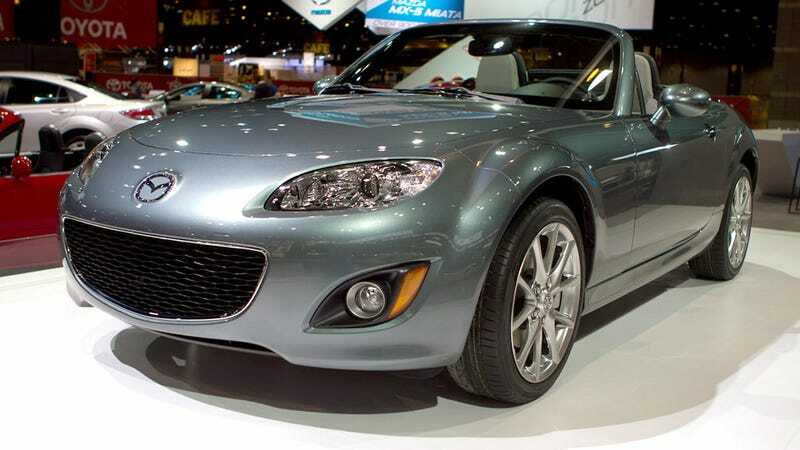 As we said before, all the SE Miatas will be hardtops and all will come in either Sparkling Black Mica or the equally feminine sounding Dolphin Gray Mica. Additionally, the little roadster will sport chrome and aluminum trim pieces wherever possible.